The Foot Institute is an association of Medicine Hat Doctors specializing in the medical treatment of the foot and ankle, and is one of the largest groups of foot specialists in Alberta. 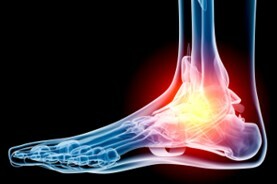 The Medicine Hat Foot Institute is dedicated to the medical and surgical treatment of the foot. Our mandate is to provide the best possible medical, surgical and preventative treatment available for our patients. We do this by providing well-trained Doctors who are committed to treat and prevent all types of foot pain, biomechanical disorders, as well as all other problems relating to the feet. The Alberta Foot Institute has over 20 conveniently located clinics throughout Alberta (See below for locations, directions, dates and contact information) all staffed with caring, competent and professional individuals who are committed to increase the quality of life for our patients. Dynamic Physiotherapy is one of Canada's leading providers of Physical Therapy and injury rehabilitation. At Dynamic we pride ourselves in using today's modern medicine to provide safe and effective treatment in communities across Alberta. With multiple convenient locations and friendly highly trained professionals, our commitment is to assist you in achieving your maximum potential and to enjoy a high quality of life through better health. With hundreds of satisfied patients and numerous clinics conveniently located across Alberta, Dynamic works closely with a number of medical and health professionals in order to provide their patients with the best possible treatment in a professional and cost effective manner. We offer the new, advanced technology known as Extracorporeal Radial Shock Wave Therapy (ESWT) or (RSWT). This technology reduces or eliminates many types of chronic pain. Radial Shockwave Therapy is fast, safe, non-invasive and very effective in treating many problems for which, traditionally, patients were unable to receive effective medical treatment. Shockwave Alberta is a division of Dynamic Physiotherapy. Web Design by: Okotoks Web Design. Web hosting by High Country Web Hosting Okotoks Alberta. The Foot Institute/Dynamic Physiotherapy provides professional Medicine Hat Orthotics & Foot Pain Specialists and Physical Therapy, Orthotics, & Sports Injury Specialists for your local region of Alberta.